Love is in the air! 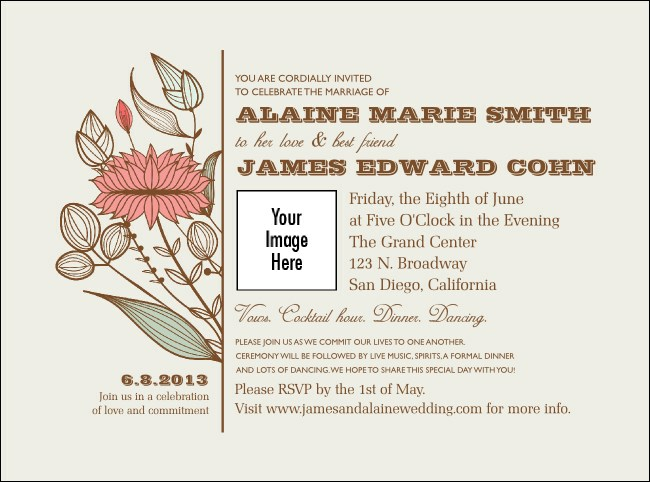 Spread the word to your friends and family well in advance when you send them Wedding Flower Motif Image Flyers. Each Flyer has room for you to upload your own unique image, so you can show off the happy couple ready to be hitched and include your event details all on one pretty floral design. TicketPrinting.com will help you coordinate your big day!